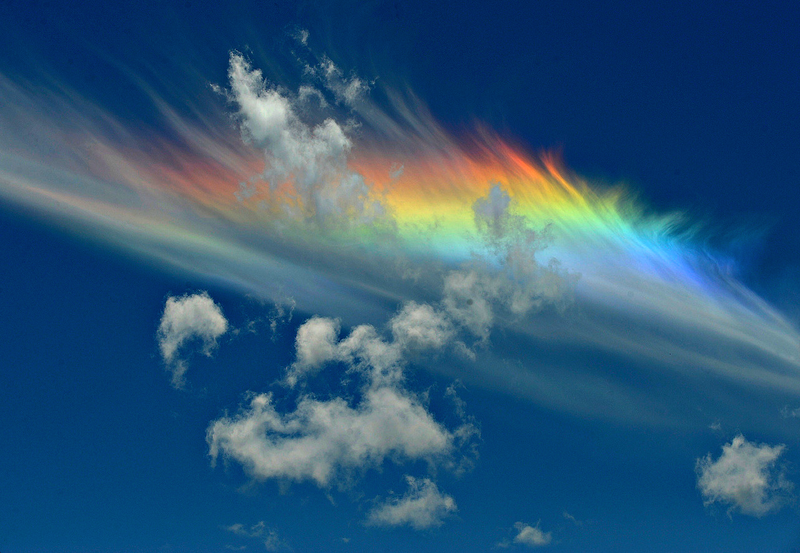 Fire Rainbows, which are very rare, are formed by light reflecting from ice crystals in high level clouds. 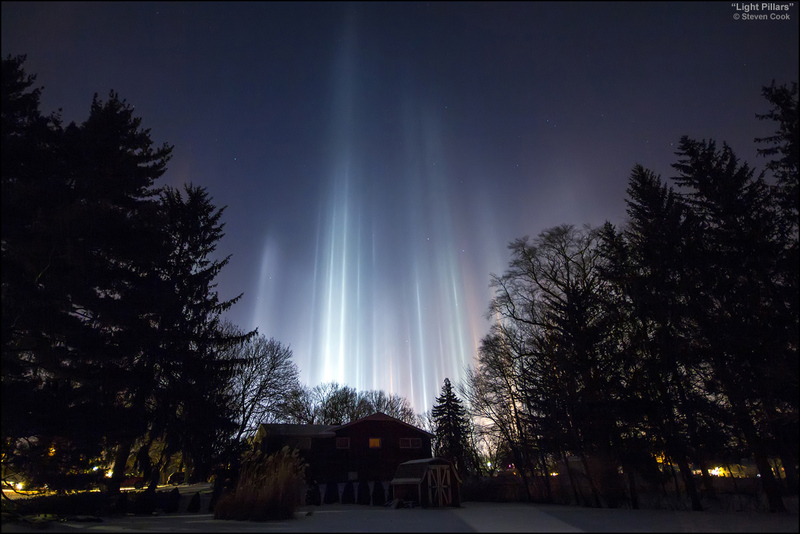 The halos are so large, they often appear parallel to the horizon with only sections of the full refraction being visible. 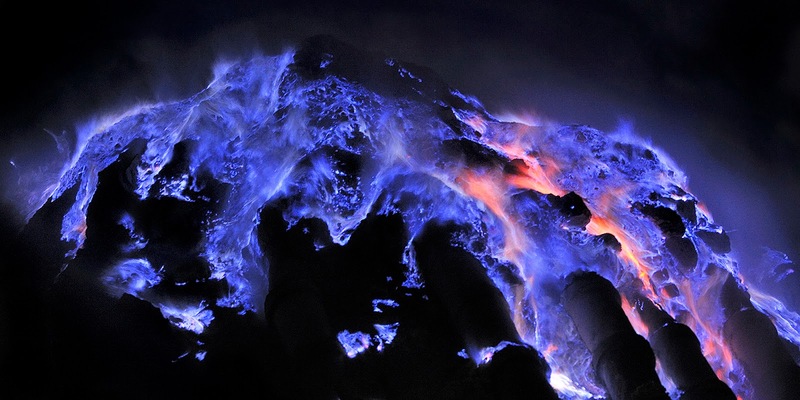 Only in Java, Indonesia, at the Kawah Ijen volcano. 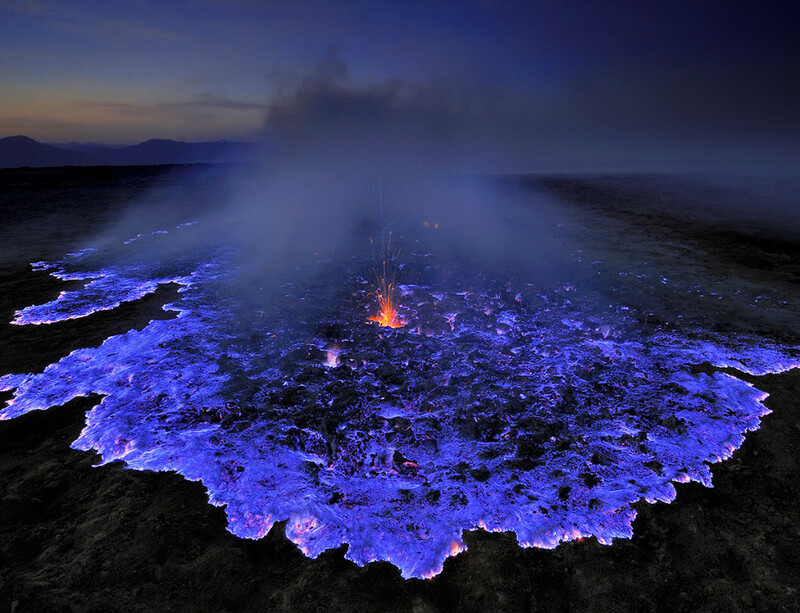 This lava isn't exactly blue in itself, but instead the the combustion of sulfuric gases in contact with air at temperatures above 360°C make it appear blue. 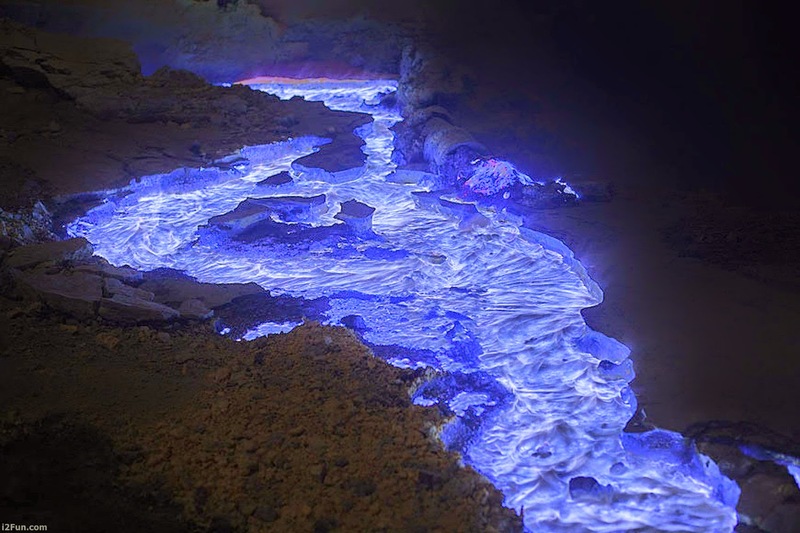 Exposed to the oxygen present in air and sparked by lava, the sulfur burns readily, and its flames are bright blue during the night. 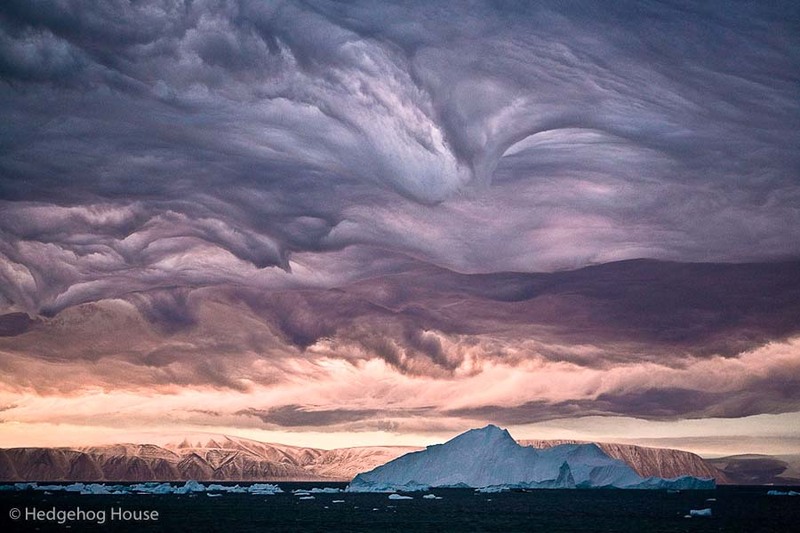 Morning Glory clouds are incredibly rare, so much so, that we don't know what causes these strange cloud formations. 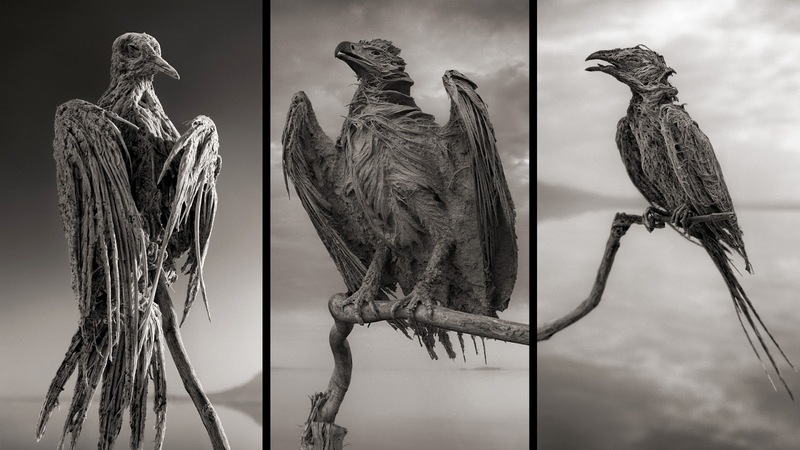 They're most commonly seen at fall in the small town of Burketown in Australia. 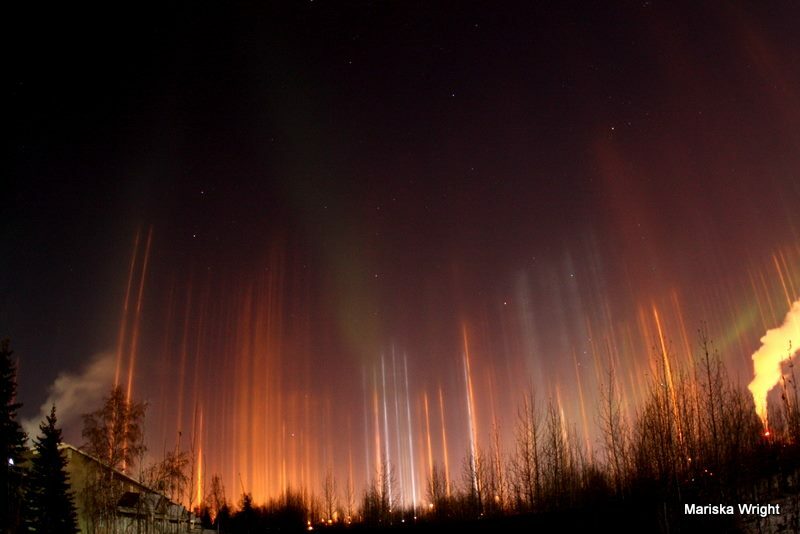 Light columns are visible in extremely cold areas like Russia. 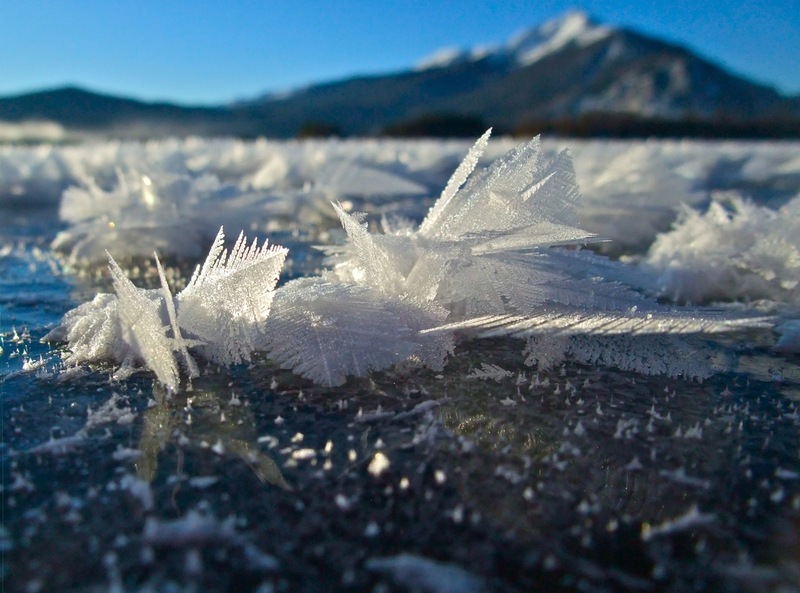 The light is reflecting off ice crystals, which are nearly perfectly flat and smooth, giving it a streaking effect. 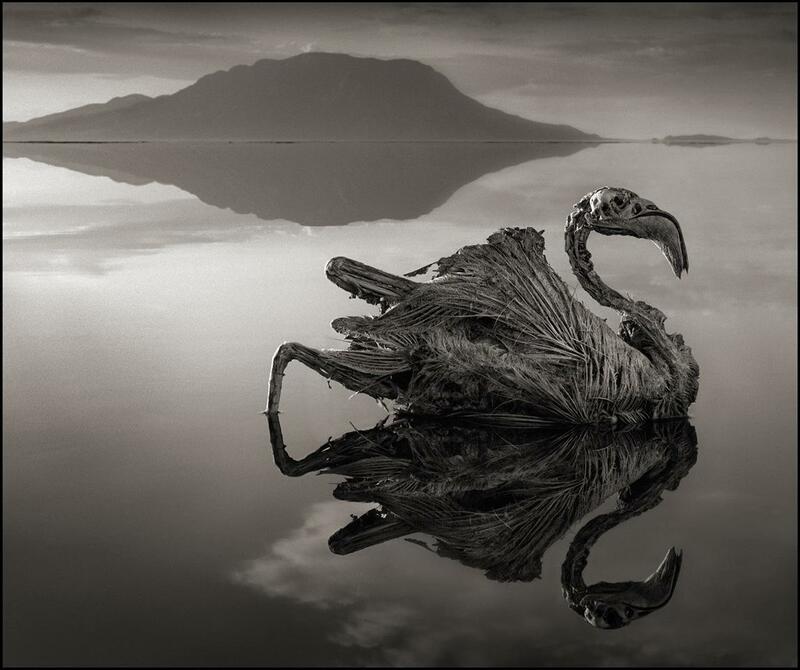 The alkaline water in Lake Natron (Tanzania) has a pH as high as 10.5 and is so caustic it can burn the skin and eyes of animals that aren't adapted to it yet it still has a thriving ecosystem of salt marshes. 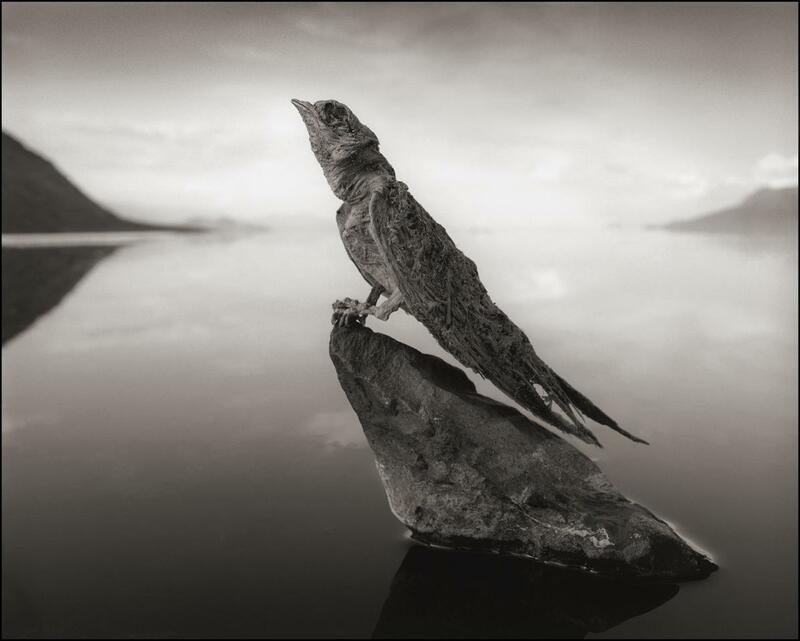 These animals were found on the shore with chalky sodium carbonate deposits outlining their bodies and were posed. 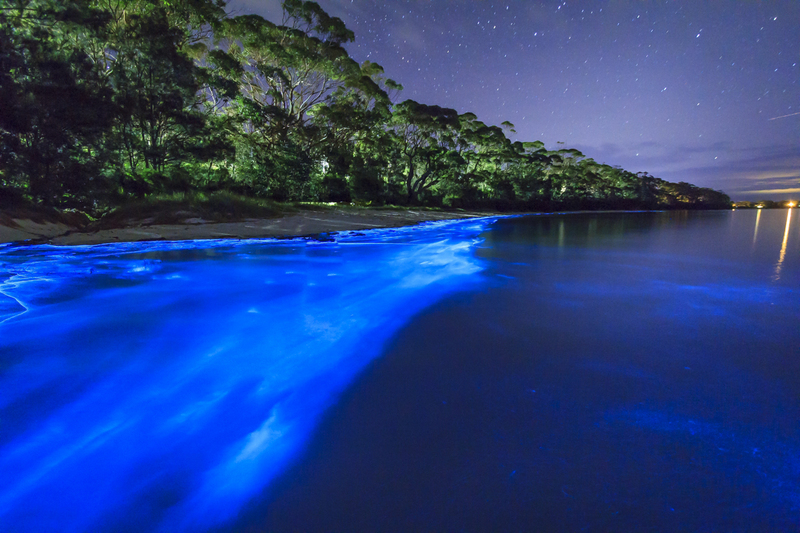 The sparkle in these waves comes from marine microbes called phytoplankton that glow in the dark. 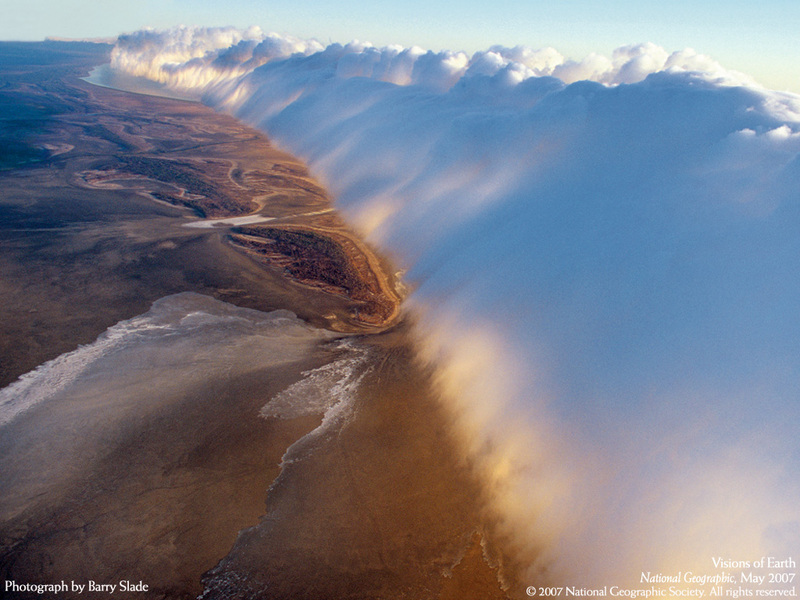 The galaxy they paint across the shore is nothing short of breathtaking. 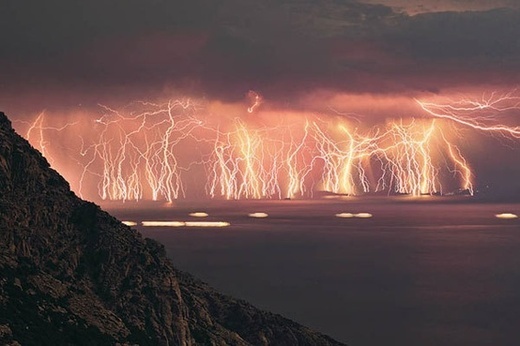 At the mouth of the Catatumbo River in Venezuela, a very unique mass of storm clouds swirls, creating the rare spectacle known as Catatumbo lightning. 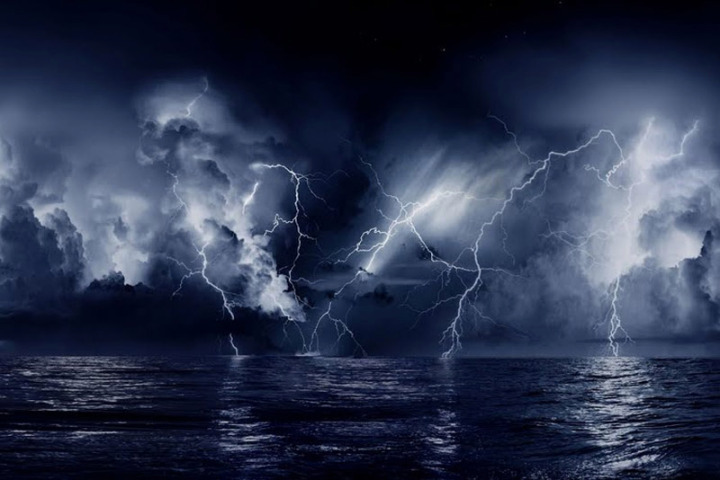 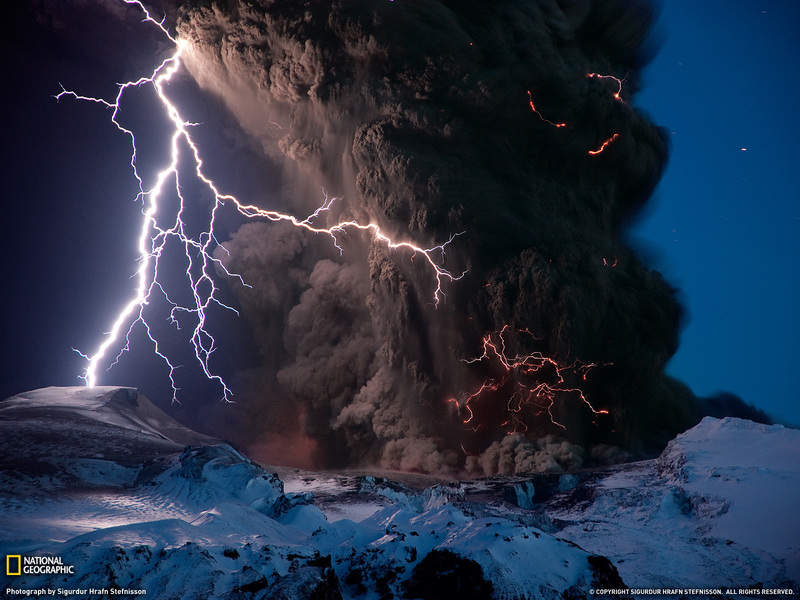 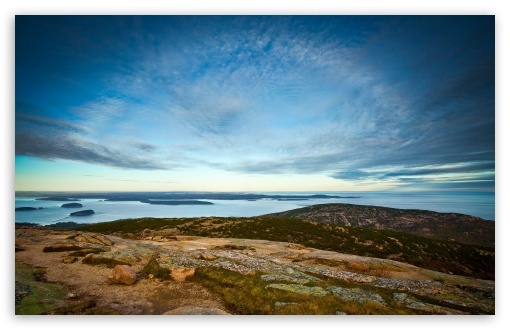 The storm occurs up to 160 nights a year, 10 hours per day, and 280 times an hour. 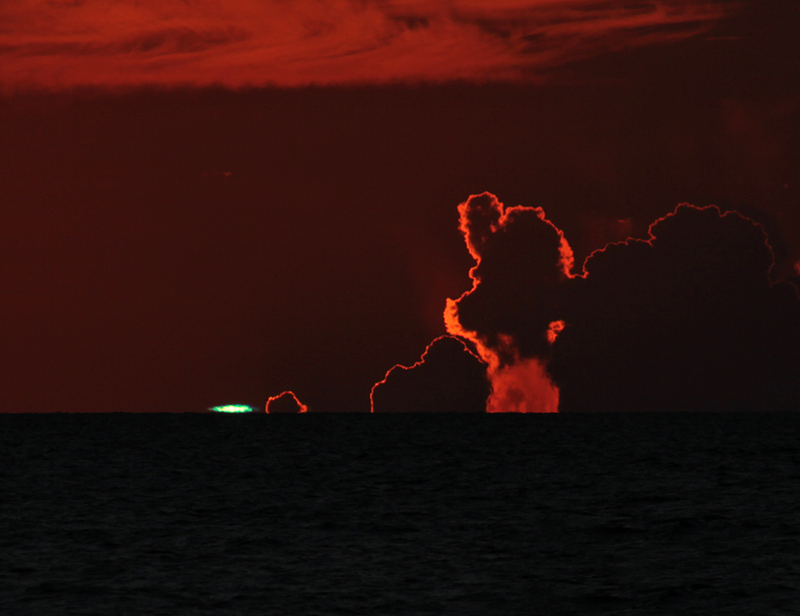 This rare and elusive scene is a meteorological event that occurs for a few seconds only when the sun starts to dip below or rise above the horizon. 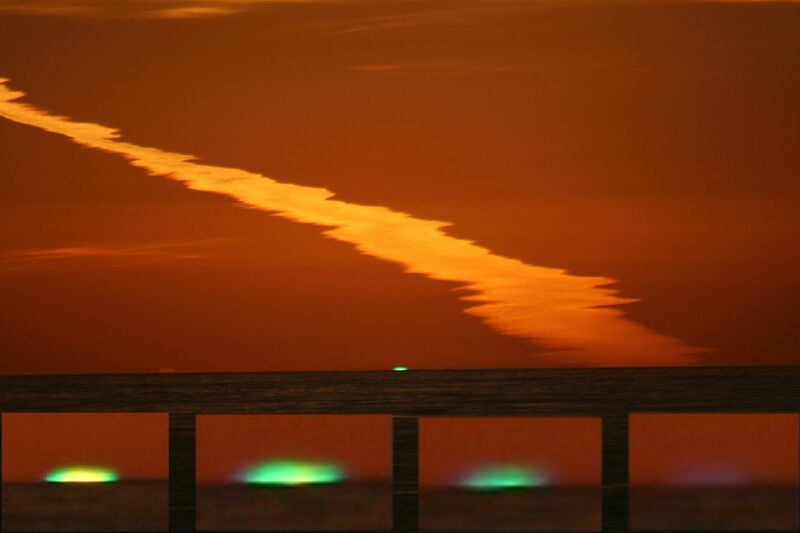 Meteorological conditions have to be just right to allow light from the sun to bend in the atmosphere and appear briefly as a green flash. 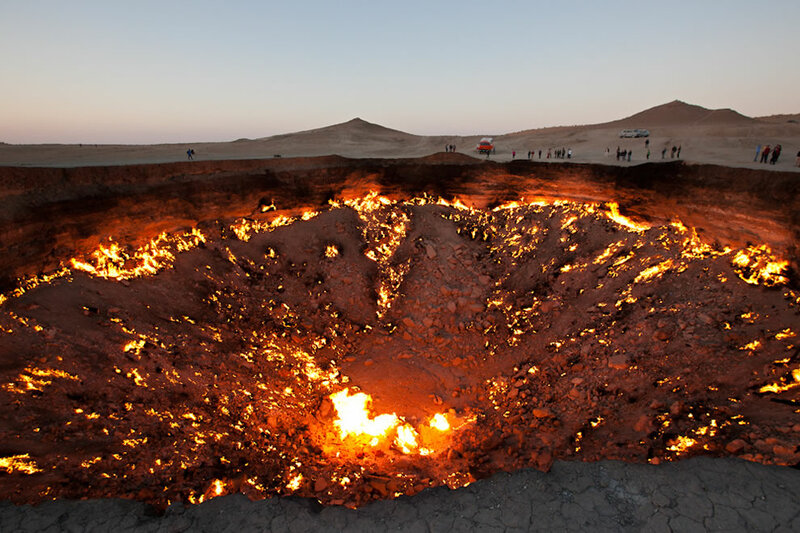 The Gateway to Hell is a vent, where natural gas escapes to the surface through cracks in the rocks. 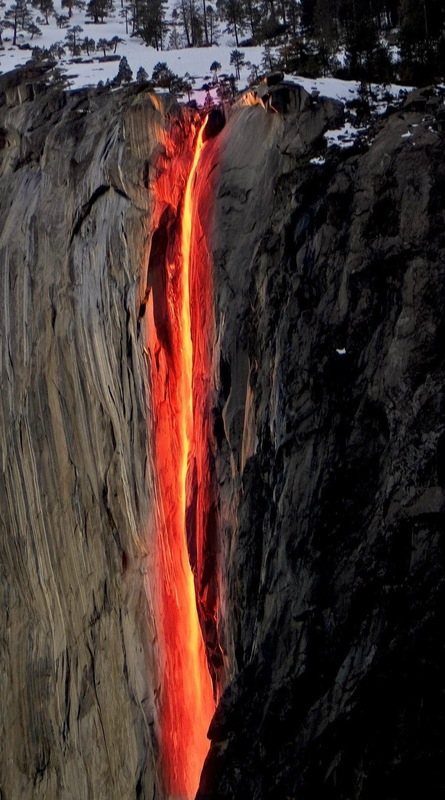 The flame it produces has burned ever since it was set alight in 1971. 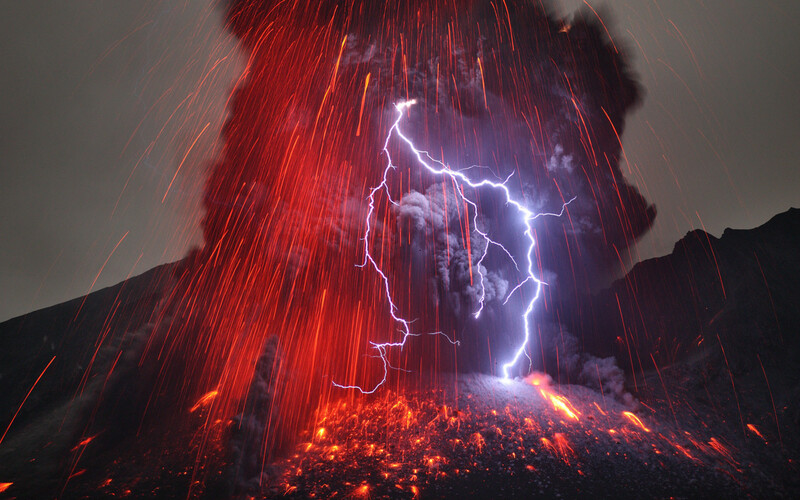 A similar flame in Iraq has burned for for over 4,000 years and is even mentioned in the Old Testament. 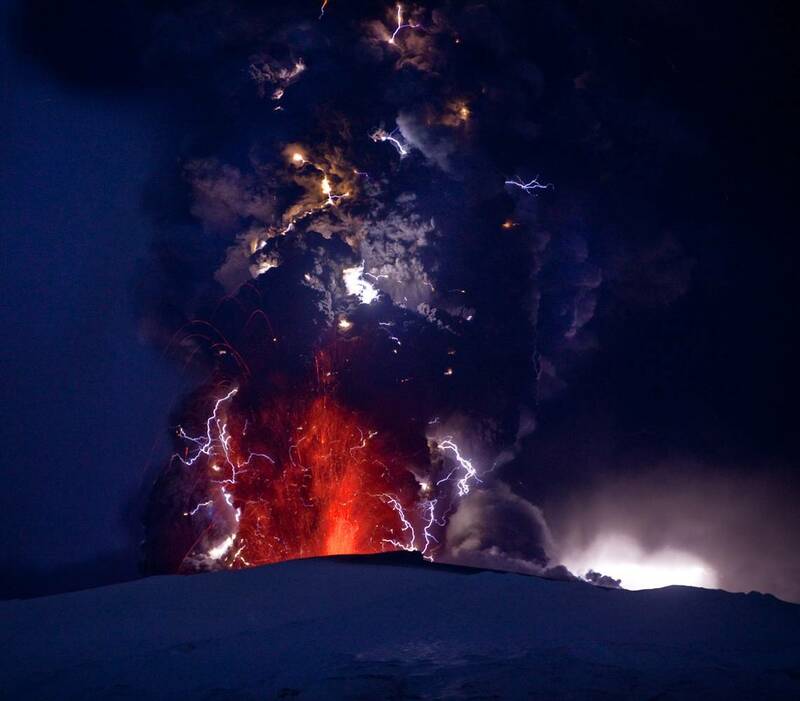 The area of Hverir is incredibly geothermally active, so much so that ghostly towers of steam and gas rise from bodies of water and mud as they boil. 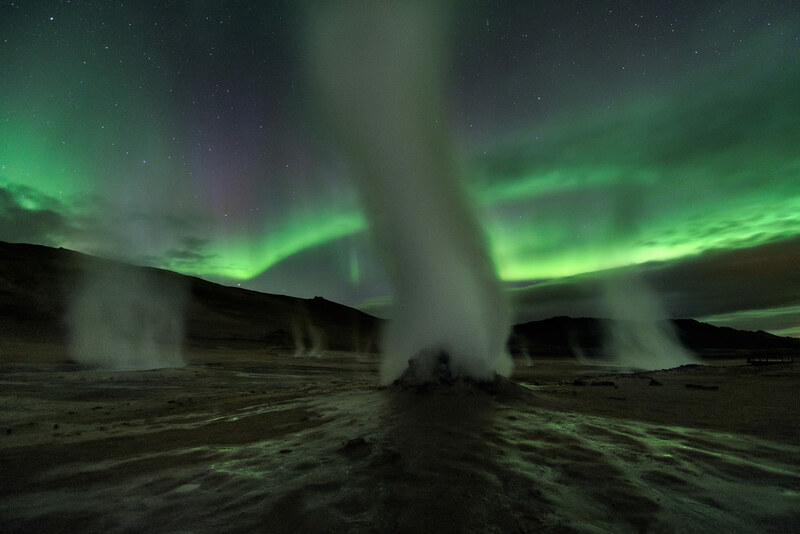 Combined with the Northern Lights, this place looks like an alien world. 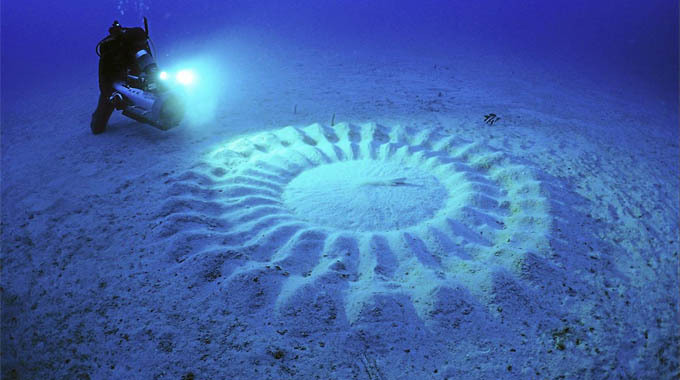 These strange patterns are found on the seabed, rather than in fields of corn. 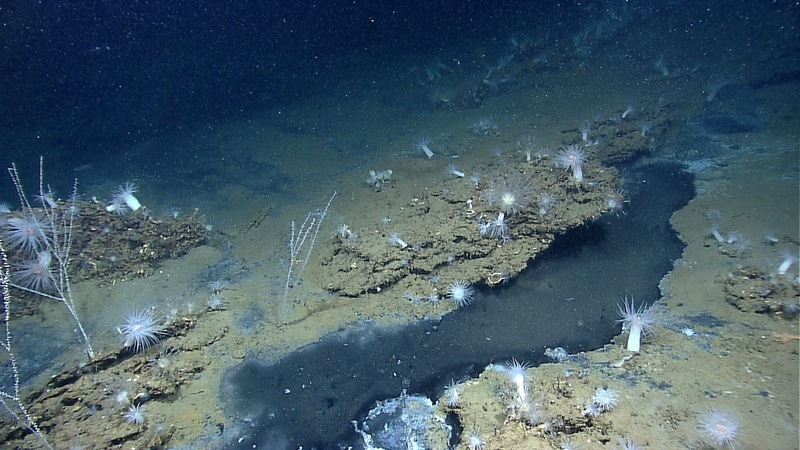 At around 7 feet wide, they litter the Japanese sea floor, each with a unique pattern. 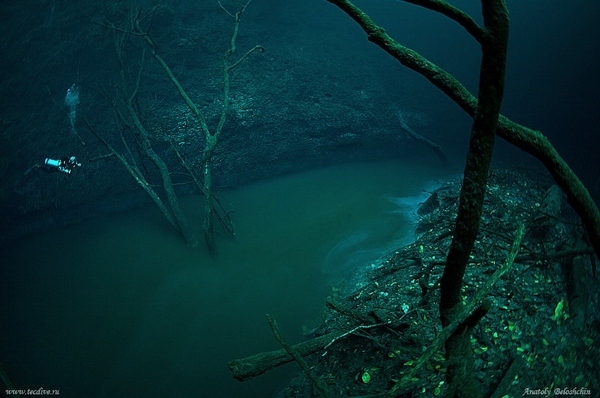 Until recently, we had no idea how these patterns were produced, but surprisingly, tiny fish were the culprits. 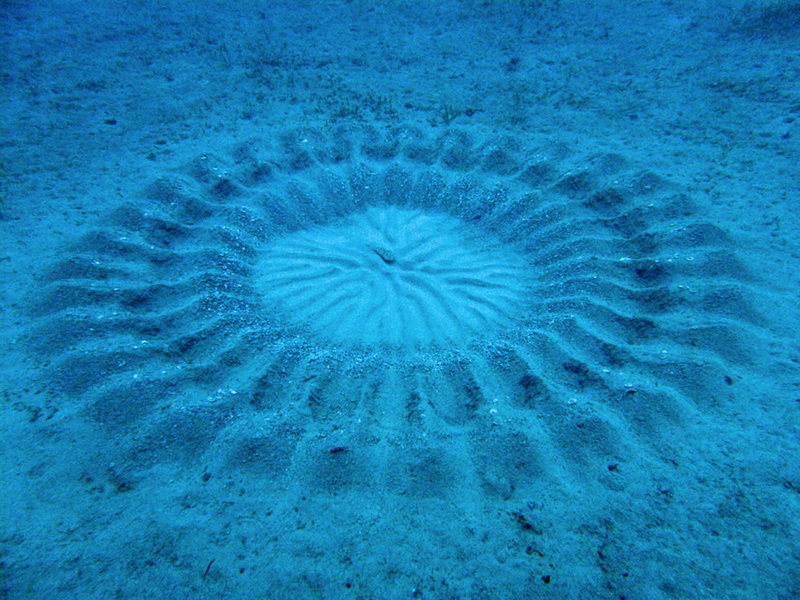 Male pufferfish, no more than 5 inches long, will flap their fins in the sand to produce these amazing patterns in hopes of attracting a mate. 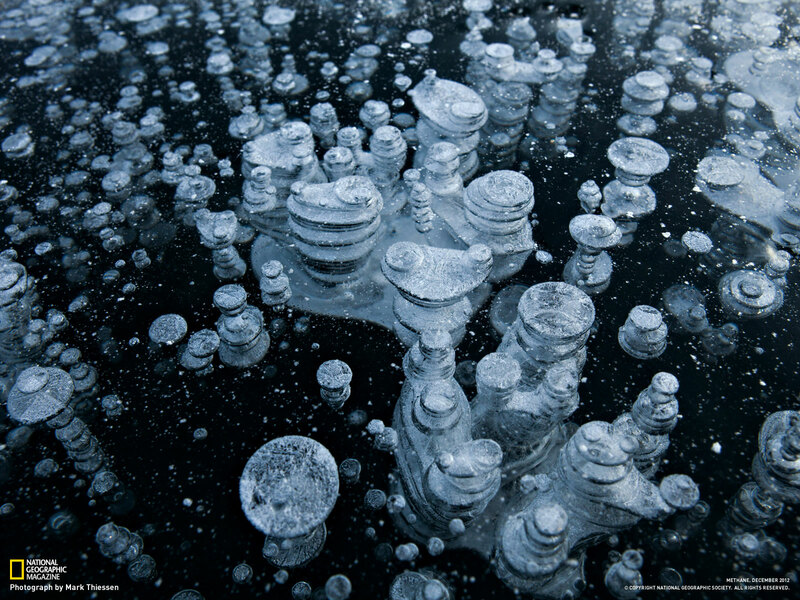 Methane bubbles form in water when dead organic matter falls to the bottom, much to the delight of bacteria. 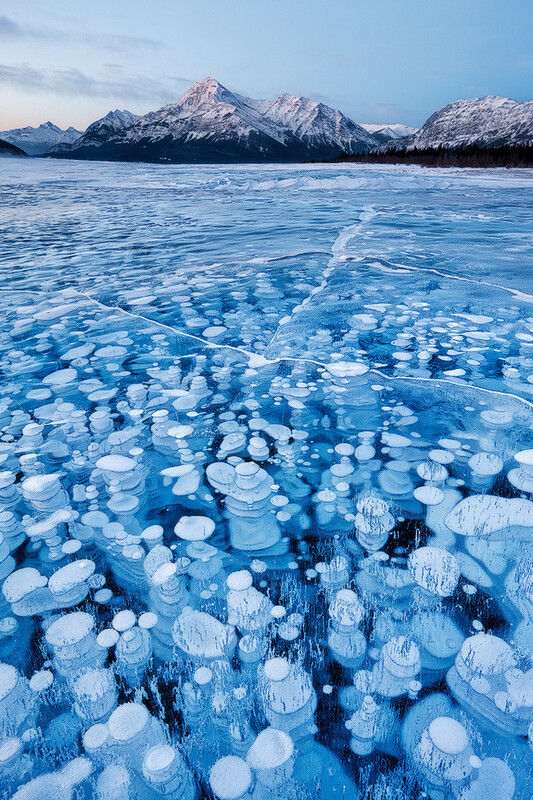 When methane gets trapped in frozen water, it produces scenes like these. 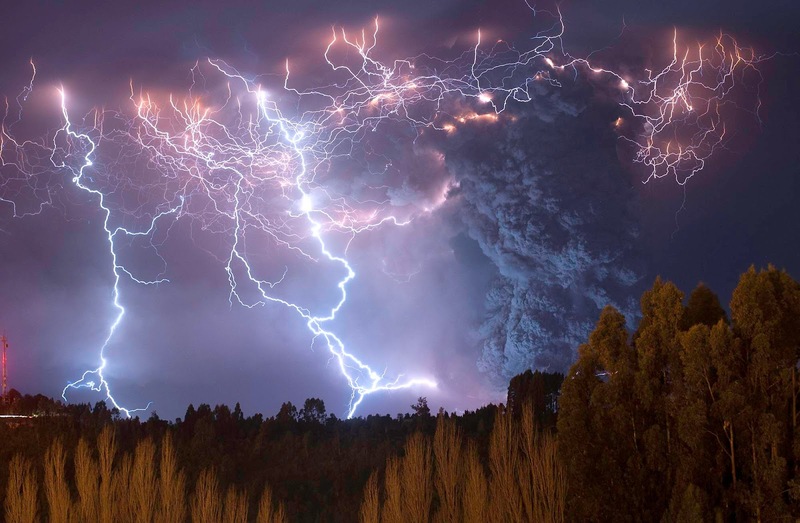 Just dont light a match when these bubbles are freed. 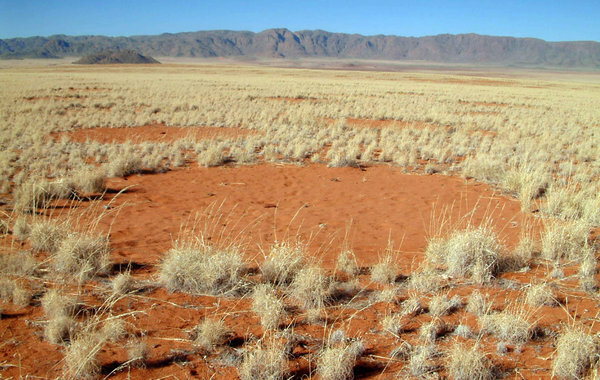 Fairy circles are mysterious patches of bare soil that appear in otherwise lush African grassland. 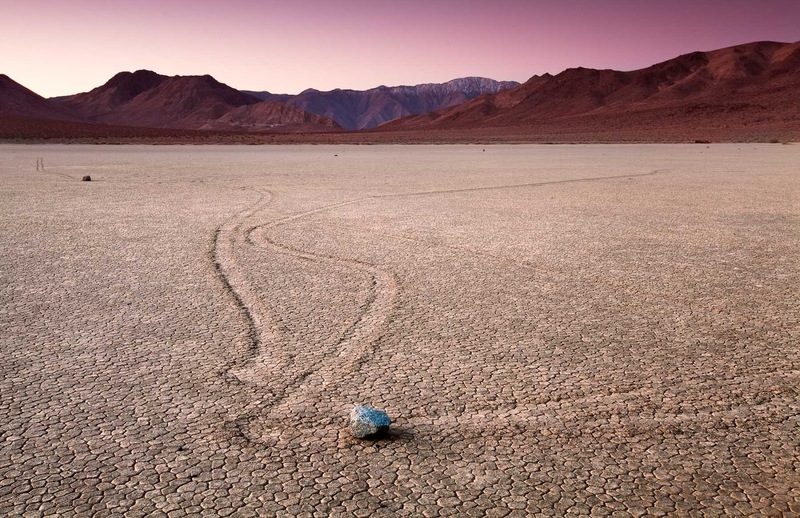 Fly from Angola to South Africa and youll see thousands of these patches, which can sometimes measure 30 feet across. 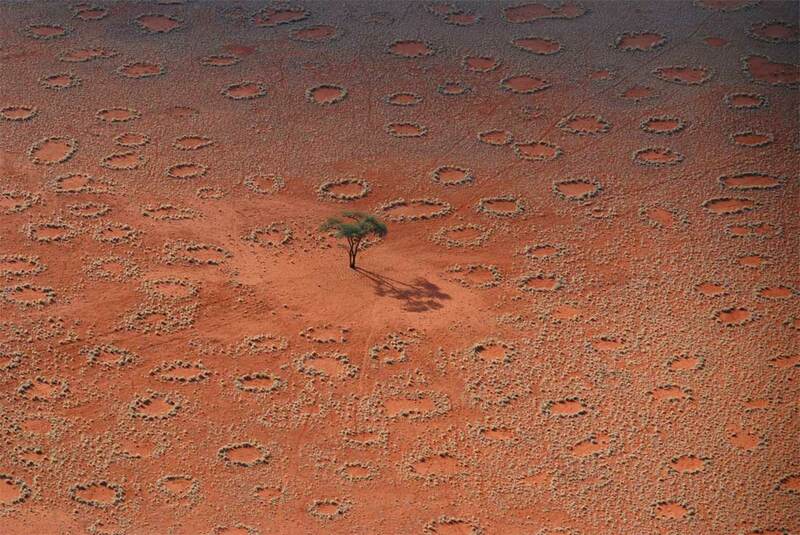 Scientists believe that termites live under these circles and consume the vegetation within, so that rain keeps the soil moist. 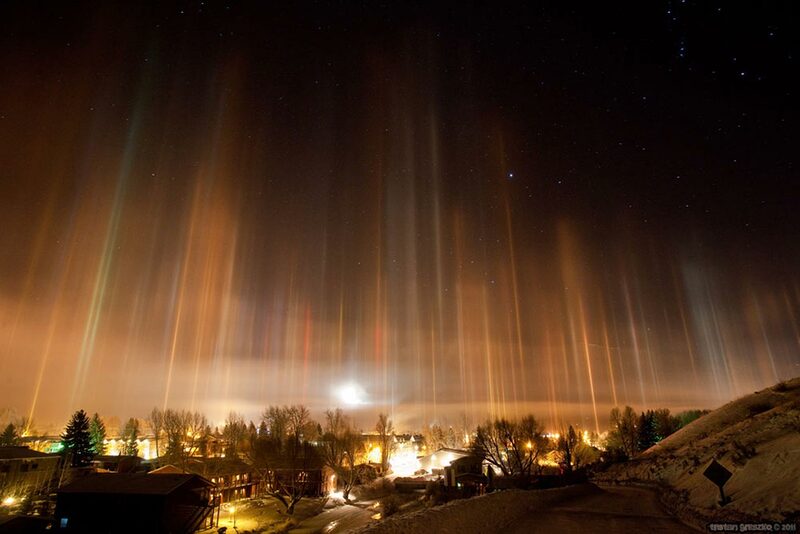 These rainbows form in fog, rather than rain. 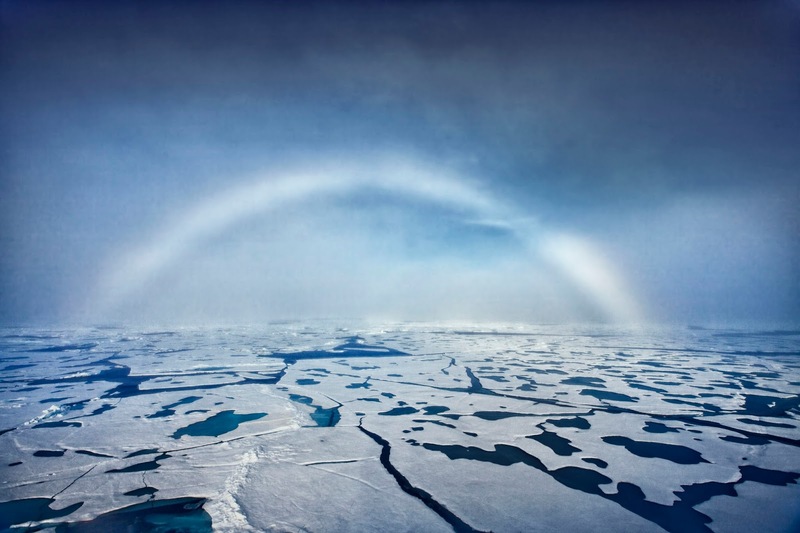 The condensation reflects little light, and as a result, the rainbow appears white. 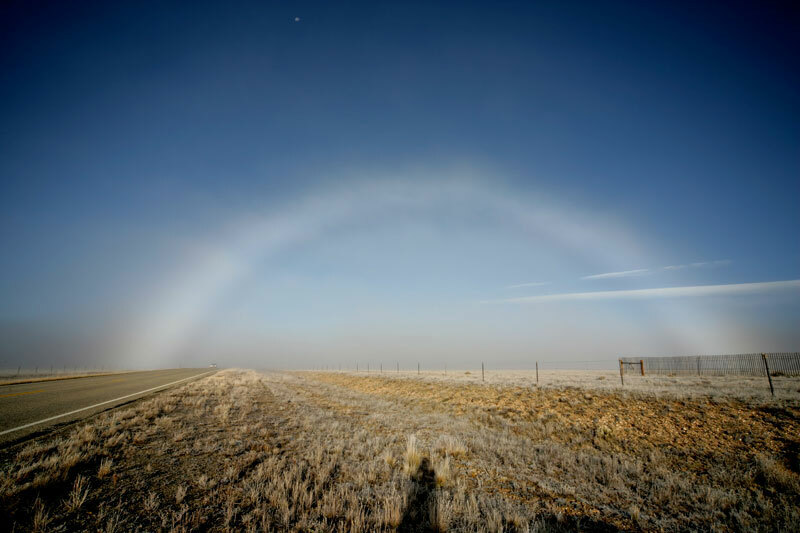 The fogbow's lack of colors is caused by the smaller water drops ... so small that the wavelength of light becomes important. 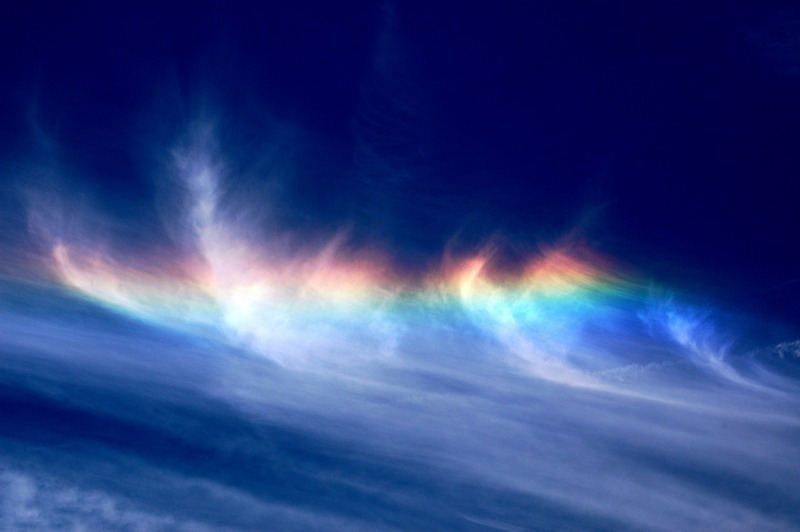 Diffraction smears out colors that would be created by larger rainbow water drops. 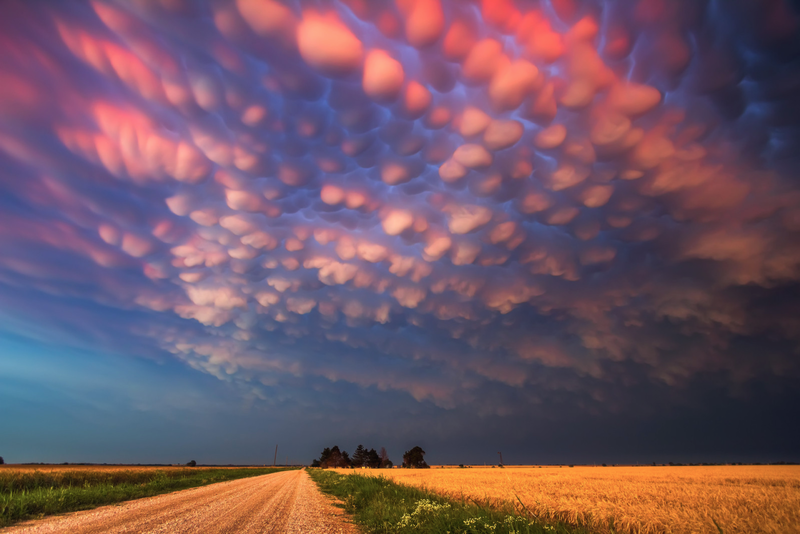 The process of formation of Mammatus clouds is not fully understood. 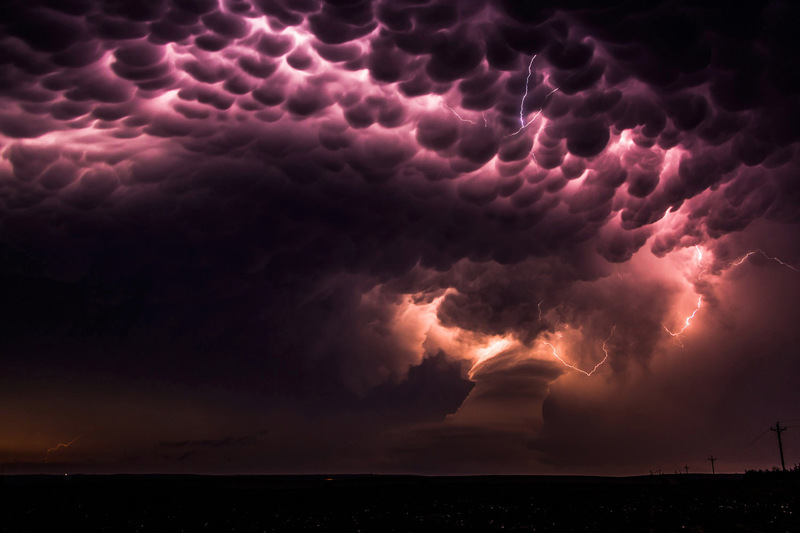 They are most often associated with the anvil cloud and also severe thunderstorms and are often indicative of a particularly strong storm or maybe even a tornadic storm. 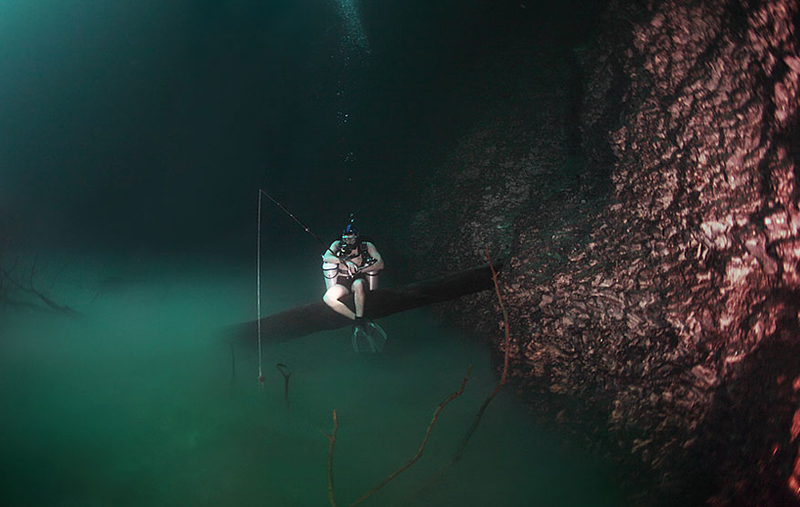 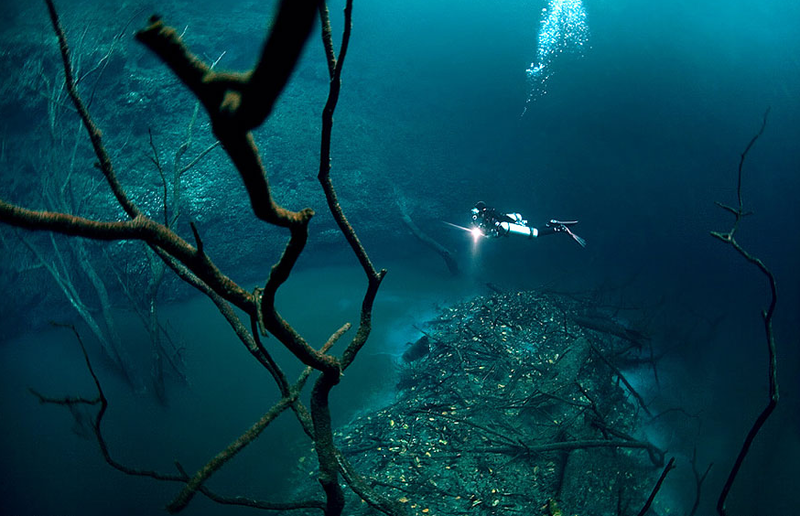 Underwater rivers, like those in Cenote Angelita, Mexico, form when a heavy, flowing substance (like hydrogen sulfate) enters a body of water and sinks to the bottom, forming a separate flow. 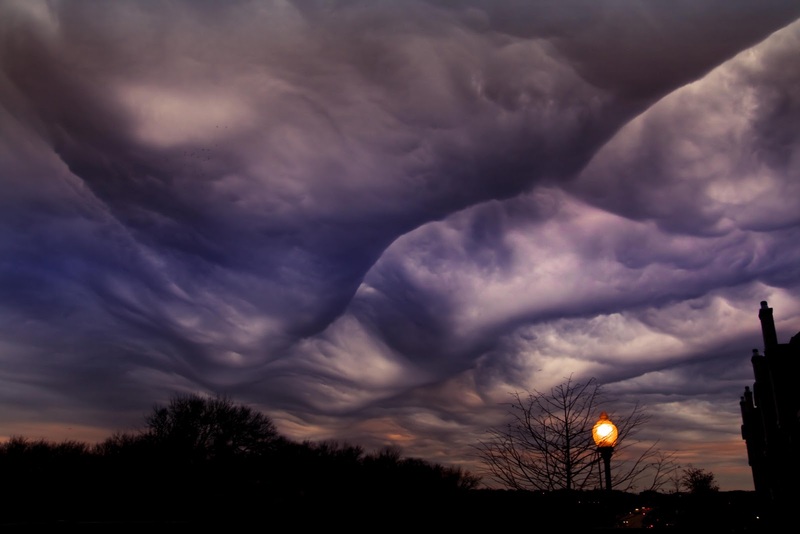 Asperatus Clouds are so rare that they were only classified as of 2009. 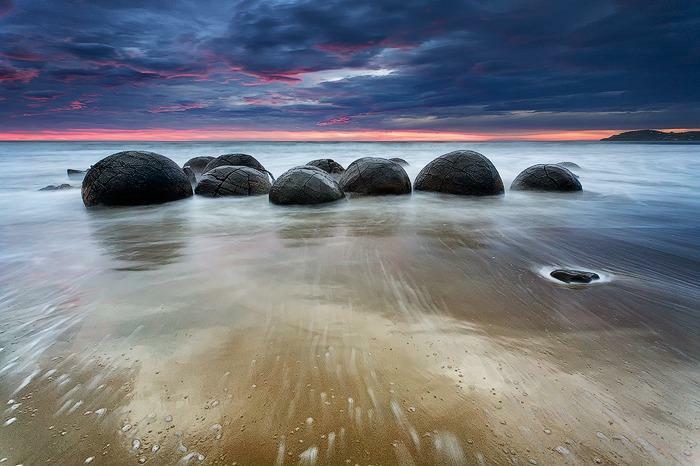 We know little about them other than the fact that they look mesmerizing. 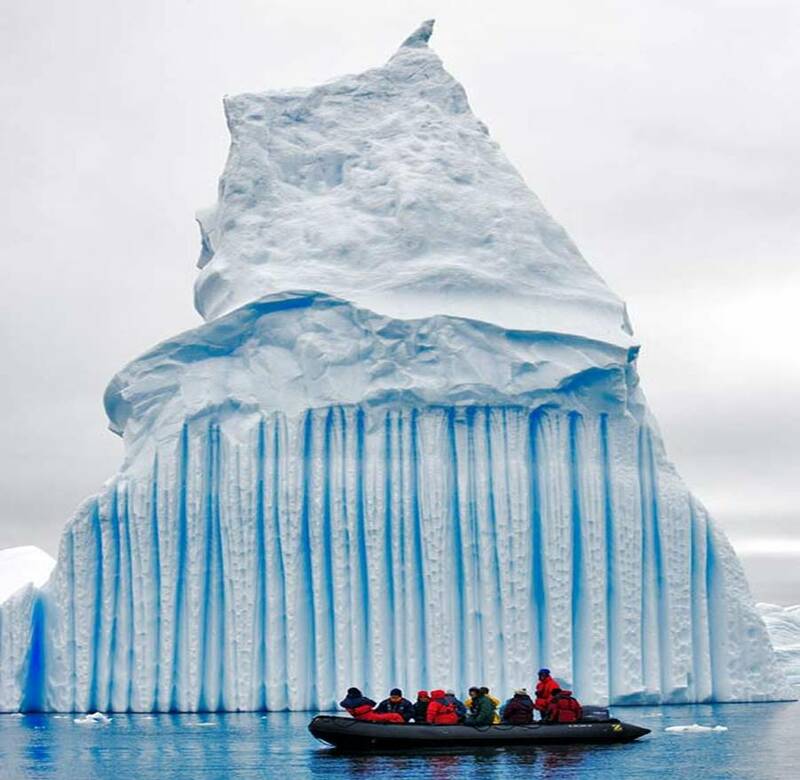 These beautiful blue stripes occur when a crevice in the iceberg fills up with water, which freezes so quickly that no bubbles form. 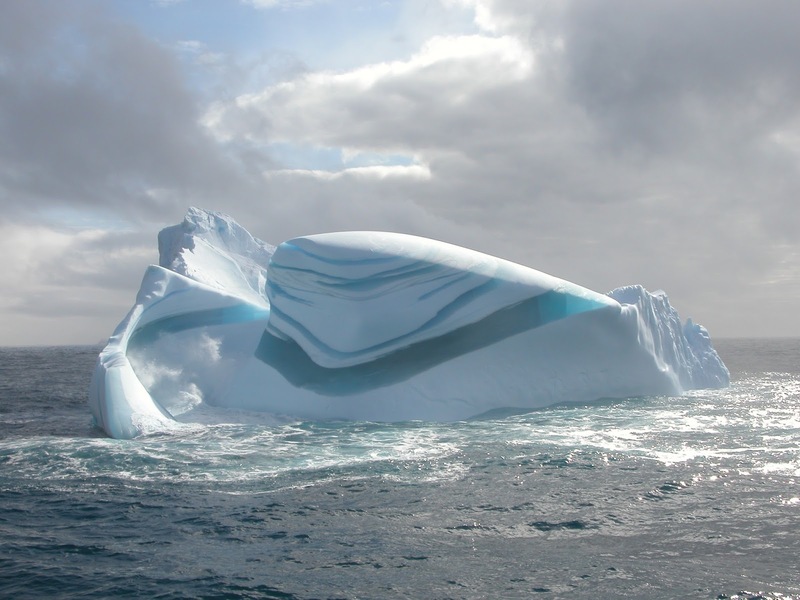 Green stripes can form when algae attaches to an iceberg as it falls into the sea. 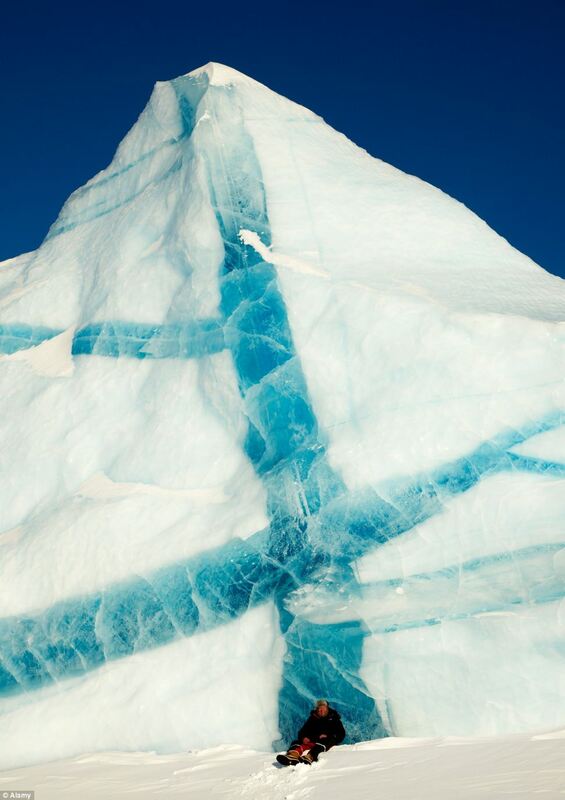 Brown, black and yellow lines are caused by sediment that is picked up when the berg first travels down hills into the sea. 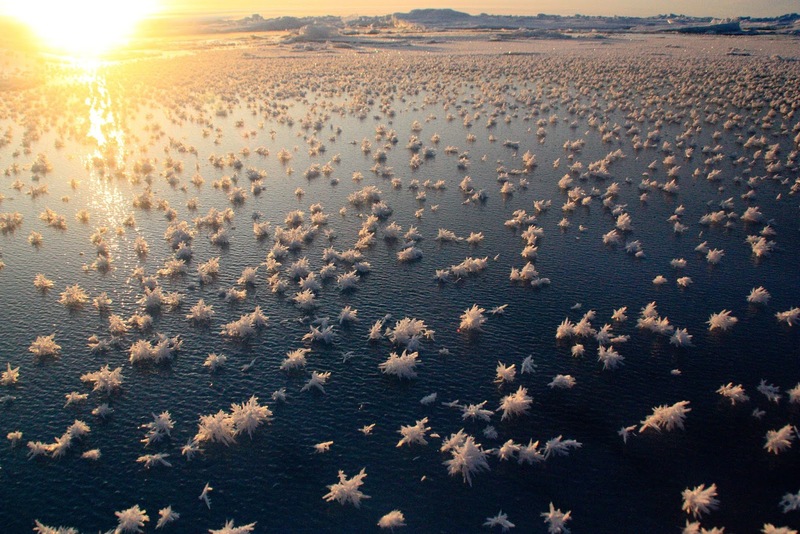 These unusual flower fields form on thin sea ice when the atmosphere is far colder than the underlying ice. 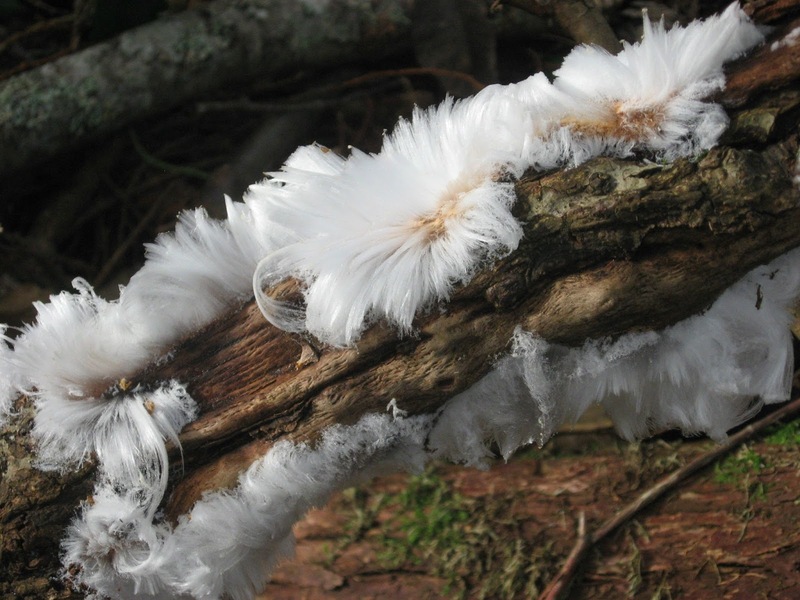 When the warmer, wet air and overlying cold air meet, they form these amazing crystals. 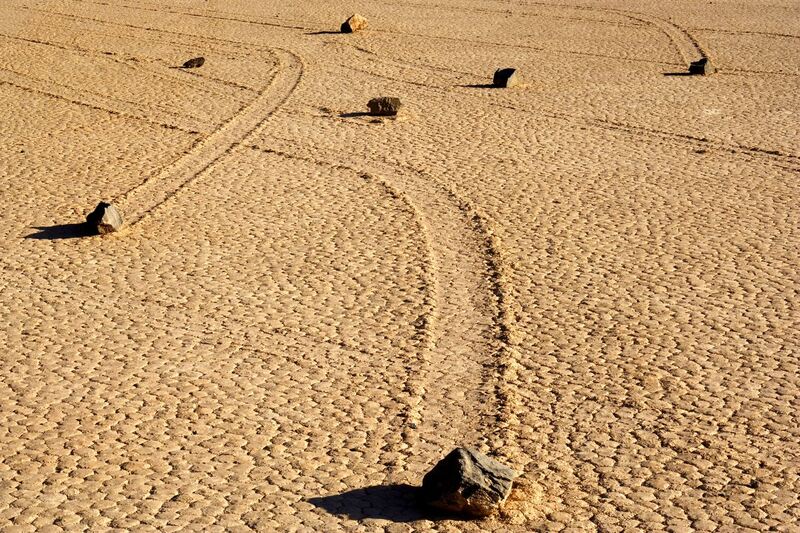 Sailing stones can weigh up to 700 pounds and move across the barren desert without help from humans or animals. 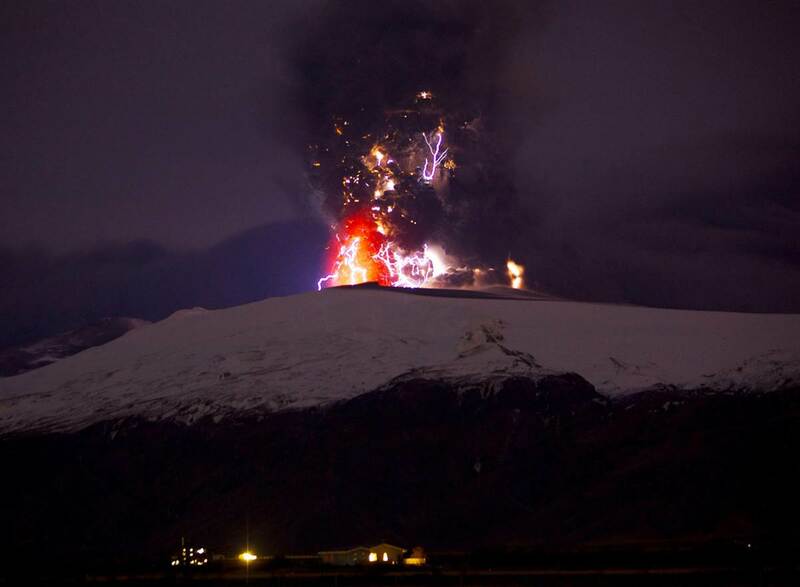 It was only recently that this spooky migration was explained. 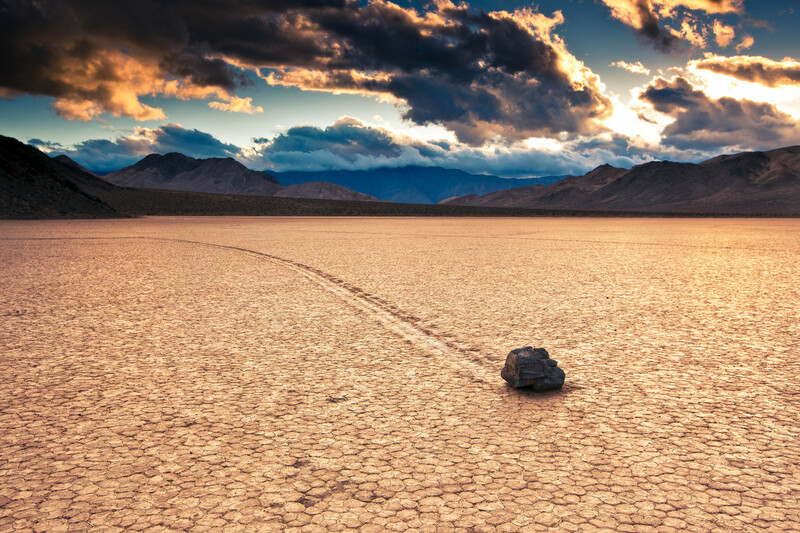 In the winter, ice forms around thousands of rocks and as the ground becomes wet, the stones begin to slide, leaving magnificent trails behind them. 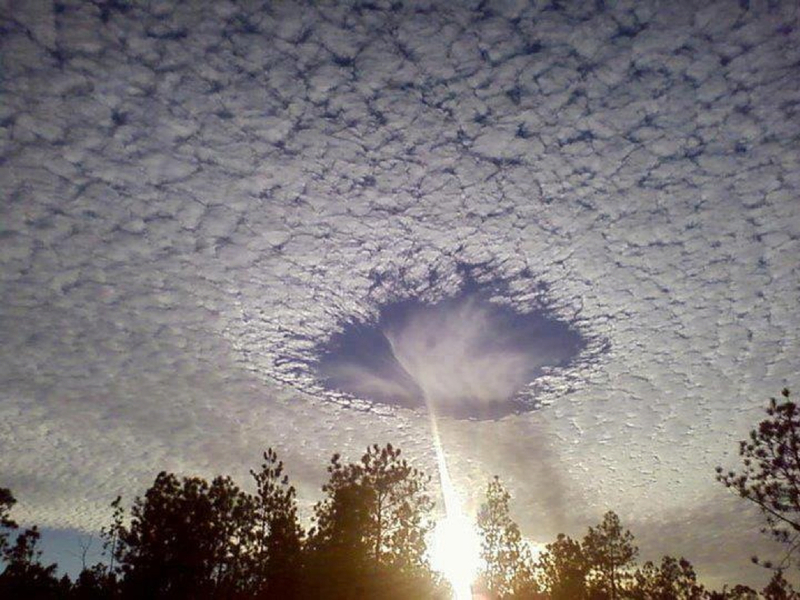 Sky punches are large gaps that appear in clouds. 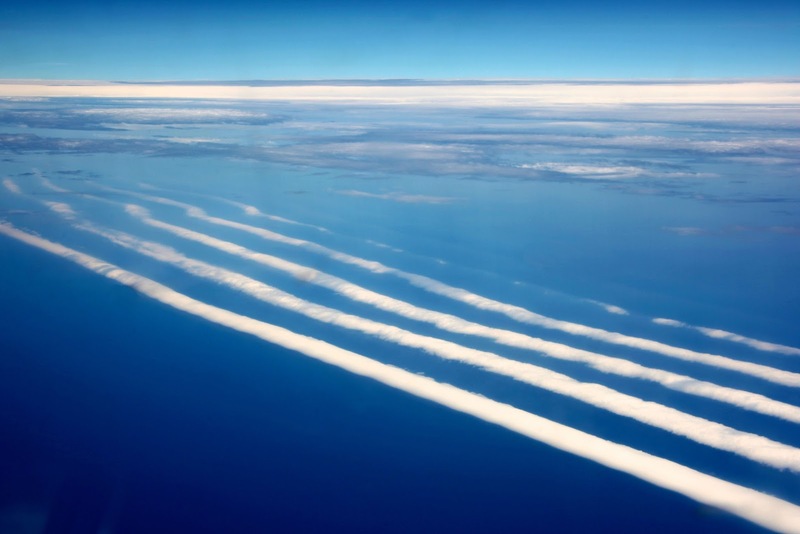 These occur when ice crystals in the cloud begin to evaporate. 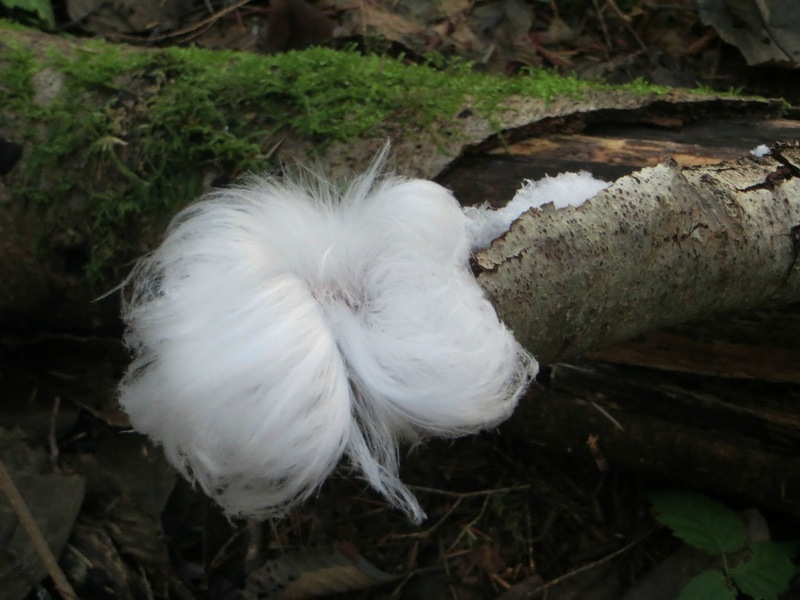 This strange ice is fluffy to the touch and as the name suggests - looks like hair sprouting out of plants. 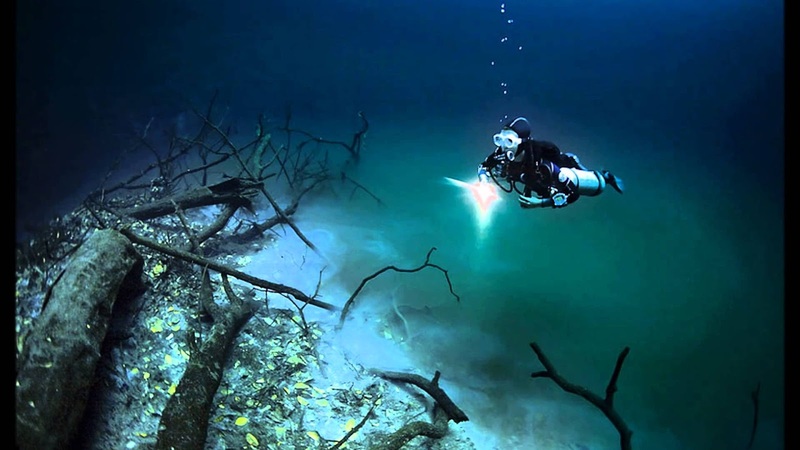 This strange occurrence is the result of the bacteria pseudomonas syringae. 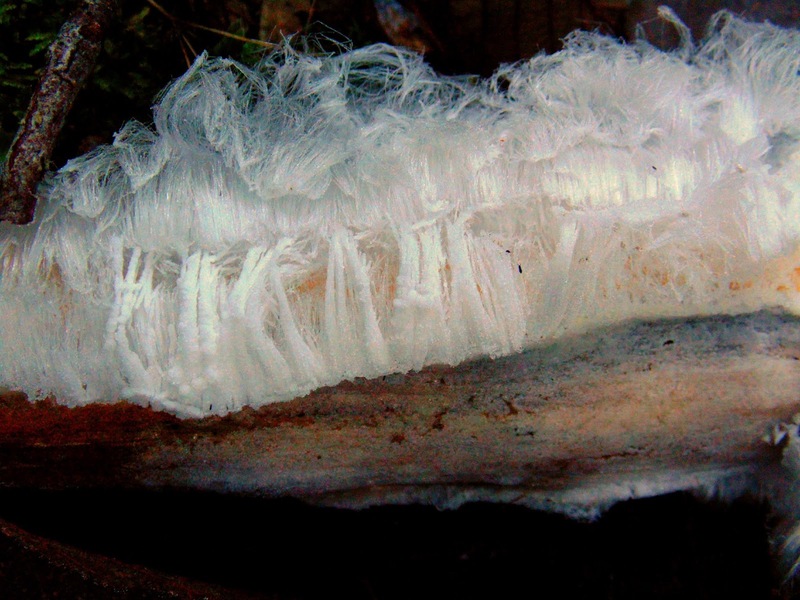 It raises the freezing temperature of internal water in plants and when that water escapes into the cooler air, hair ice is the result. 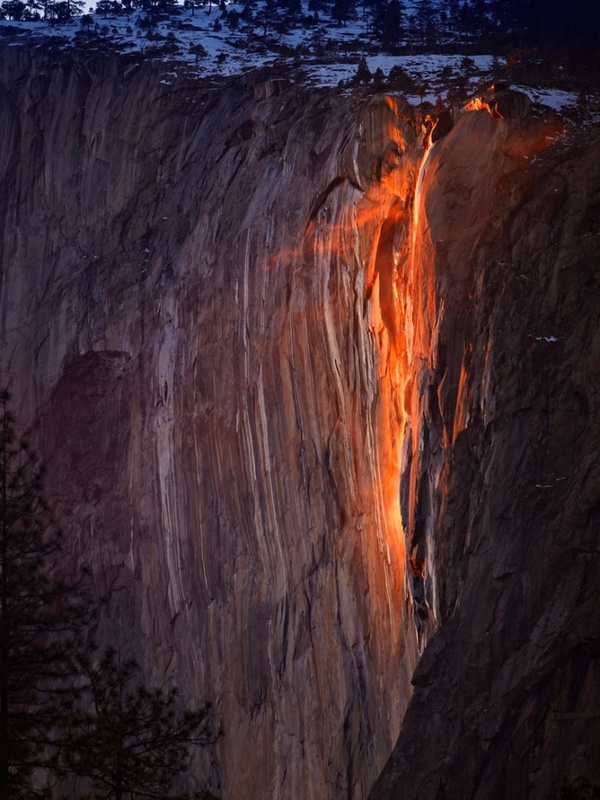 Horsetail Fall is a seasonal waterfall that occurs on the side of El Capitan in Yosemite National Park. 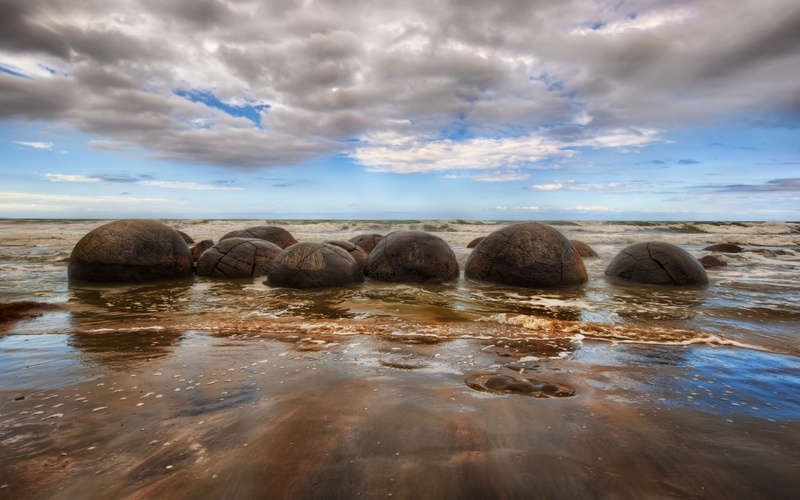 An even rarer sight to see occurs only for a few days in February, when, if weather and climatic conditions are just right, the water catches the light of the sun and turns a fiery orange.